Today I bring you another Christmas-y post. 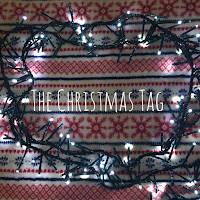 It's only 18 days to go so I'm going to do the Christmas tag. This isn't one particular set of questions, it's just a bunch (25, to be exact) of questions related to Christmas which I gathered from different tags I've seen floating about the internet. What is your favourite Christmas film? I wrote a post about my favourite Christmas movies last week but from the ones I mentioned my ultimate fav would have to be Home Alone 2. Have you ever had a white Christmas? In the U.K it's always freezing during winter so yes I have had a few white Christmases but more often than not it's just icy and slippery. Where do you spend Christmas? I have always spent Christmas at home with my parents, brothers and sister. We spend he whole day indoors keeping out of the cold. What is your favourite Christmas song? I love 'Fairytale of New York' by The Pogues and Kirsty MacColl. Do you open any presents on Christmas Eve? In our house my siblings and I get to open one present each from one other person. Can you name all of Santa's reindeer? I feel like most people can't do this but I just remember the part at the start of Rudolph the Red Nosed Reindeer. You know Dasher and Dancer and Prancer and Vixen. Comet and Cupid and Donner and Blitzen. But do you know the most famous reindeer of all... Rudolph the Red Nose Reindeer. What is your favourite Christmas treat? In my opinion you can't go wrong with a Terry's Chocolate Orange. Do you prefer giving or receiving presents? I'll be honest I prefer receiving. Mainly because that means that someone has put the thought and effort into giving me a gift. And also because I am pretty bad at present buying. What is the best gift you've ever gotten? My sister is really good at giving gifts. One year she got me tickets to my first concert and to see my favourite band Little Mix. I also love my iPhone 6S that I got last year. What's your dream place to spend Christmas? I would love to spend Christmas in New York. I think it would be so festive. That answer was definitely inspired by Home Alone 2. Are you a pro at present wrapping or not? I think I deserve an A for effort but I'm not great at wrapping presents. I just use to much paper and I don't have enough hands. Do you make New Year's resolutions? Do you keep them? I do make New Year's resolutions but whether I keep them or not is a whole different story. I try but by the end of January I've given up all hope. I'm determined to keep up with my resolutions for 2017 though. When do you start Christmas shopping? Most people have finished their Christmas shooping by now but I, being the organisational goddess that I am, have not. Help, does anyone want to do my Christmas shopping for me? When do your family put up the Christmas tree? If it was up to me, we would put our tree up in November but there's still an empty space in our living room just waiting to be filled by a Christmas tree. Is your Christmas tree real or fake? Our tree has to be fake because we have lots of animals who likes to eat things. Otherwise I would love a real Christmas tree. What tops your Christmas tree? We always have a star at the top of our Christmas tree. What's your favourite winter candle? I mentioned this in my last post ( which was my Winter Essentials) but my favourite winter/ Christmas candle is by Yankee Candle in the scent Christmas Eve. What's your favourite winter beverage? I love hot chocolate especially the orange hot chocolate from Costa. Do you prefer coloured or white lights? I think it depends on where they're going and what kind of theme your going for. But personally I love warm toned white lights because it just makes a room feel warmer and cosier. When did you find out the truth about Santa? How? I can't remember exactly when but at some point I realised that on Christmas morning my mum and dad would always make us wait for ages whilst my mum had a cup of tea. When really they were to lazy to get up during the night at put out our presents. Sleep- loving runs in the family. What's your favourite part of Christmas dinner? I love, love LOVE yorkshire puddings. What's your favourite part of your Christmas dinner. When do you start getting excited for Christmas? January, haha. But I probably start to really show it after Halloween. I think the build up to Christmas is better than the actual day so I want it to last as long as possible. Do you use advent calendars? Definitely yes. I'll probably still use advent calendars when I'm much older and have my own kids. When do you go to bed and wake up on Christmas? I try to go to bed reasonably early on Christmas Eve but I get too excited and can't sleep so probably between 12 am and 1 am which for me is super. Then in the moring I also wake up pretty early at about 7 am. What's your favourite thing about Christmas? I can't possibly pick a favourite. I love the music, the movies, the atmosphere, the food and drink, the clothing and makeup. Everything. 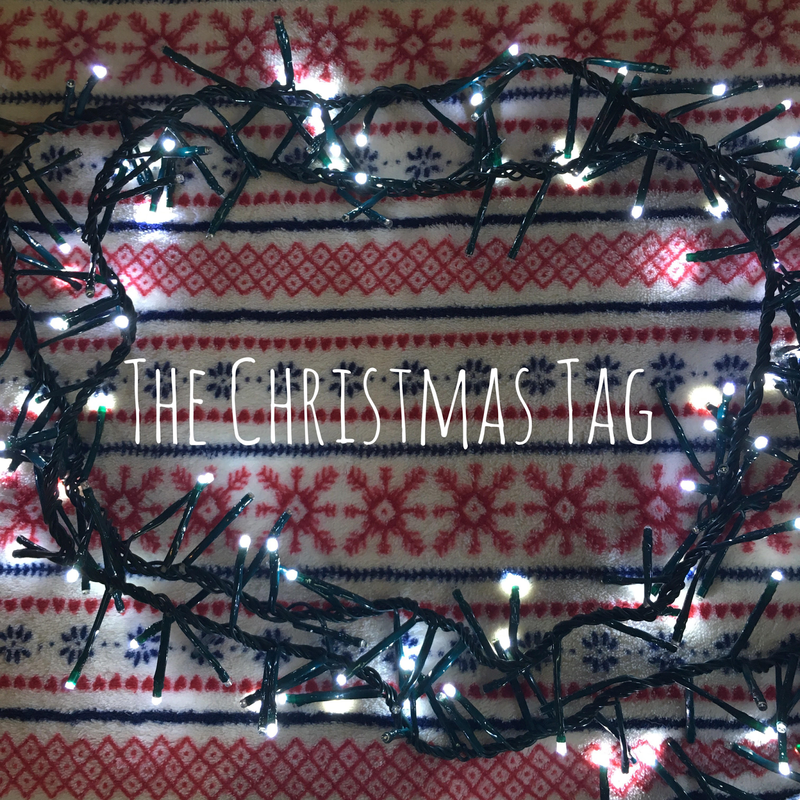 So that is my variation of the Christms Tag. 25 questions about the most wonderful time of the year. Feel free to do this tag on your blog or you can answer some of them in the comments. Let me know if you do this tag so I can go and read it. See you soon with another festive post.